There was only one thing for it. We found ourselves a torrence of the season finale of Lost, because we couldn't wait till Sunday. I reckon it's just about one of the best hours and a half of television I've ever watched. I'm including a gratuitous picture of Naveen, just because it's one of the only two bright spots in an otherwise rotten day (the other one being Michael McDowell's concession of defeat, but I'm damned if I'm putting his picture on my blog). 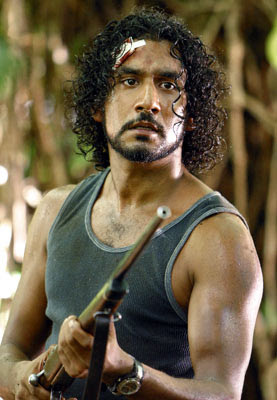 Oh my god I love Lost! It's the greatest show evah! The most miserable part was the inevitability of it all. Bah. Five more years of exile. Yeah, it was all: "What's that you say? Free Lunches? Seems good to me, here's my vote."